Here are a few images in respect of the Nottingham Station blockade and some of the replacement bus services. 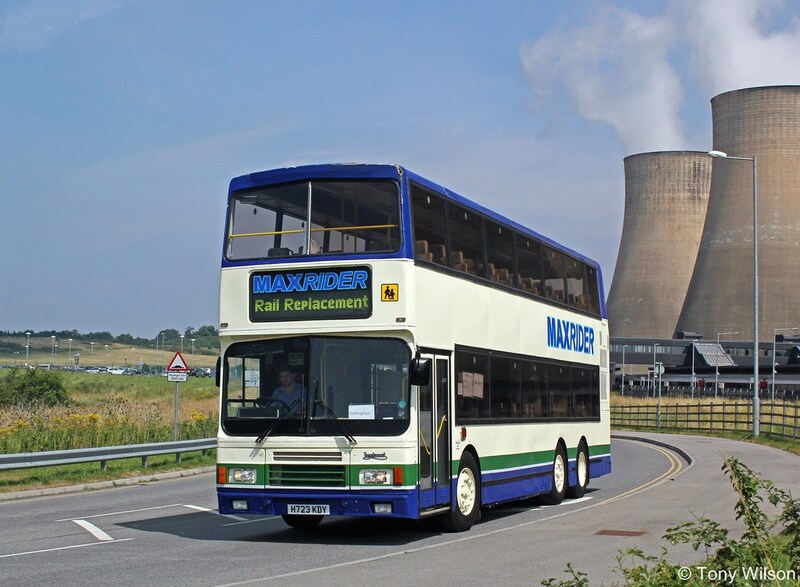 Most were taken at the East Midlands Parkway, whilst one or two others were taken at Mansfield and Alfreton. 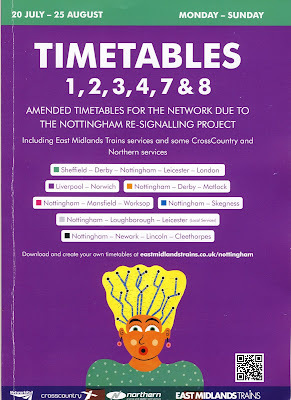 Derby is also featured briefly. 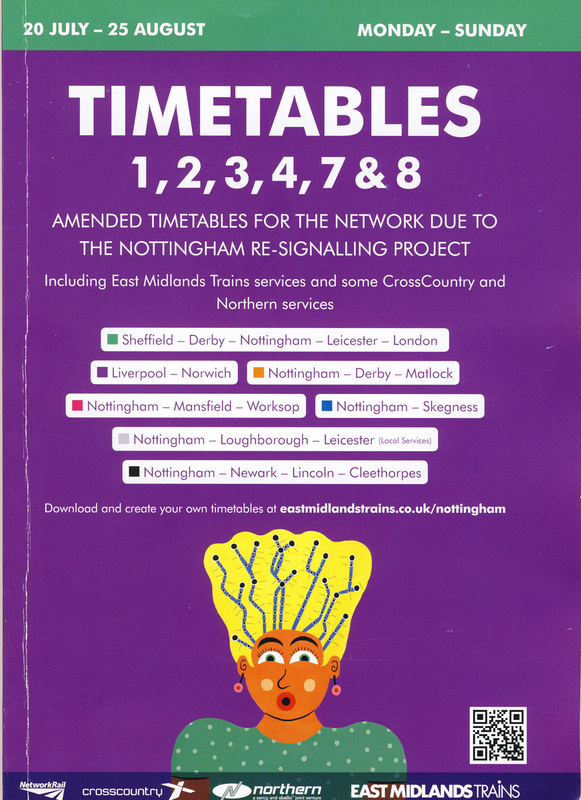 A very comprehensive 178-page temporary timetable booklet has been produced and there is prominent signage at various locations. 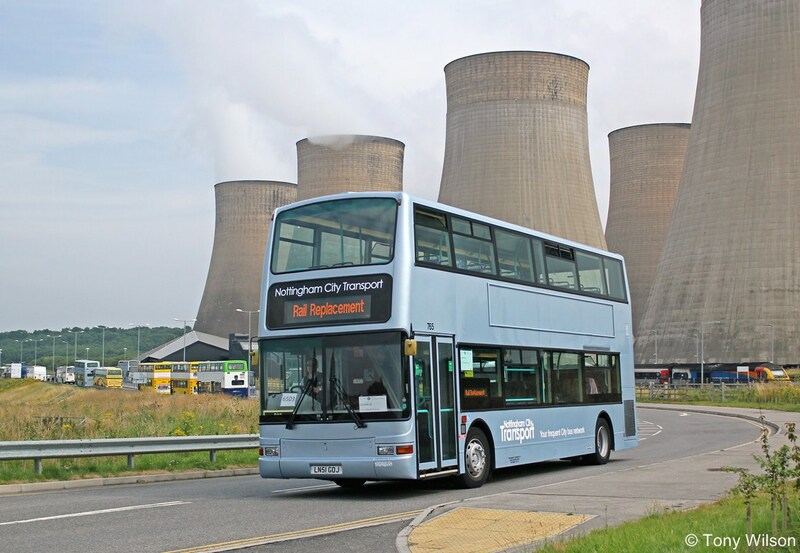 East Midlands Parkway has become a major hub for the time being, with a main direct service to/from Nottingham. 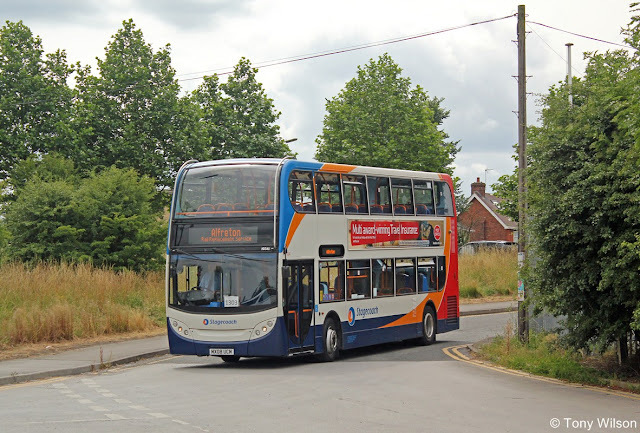 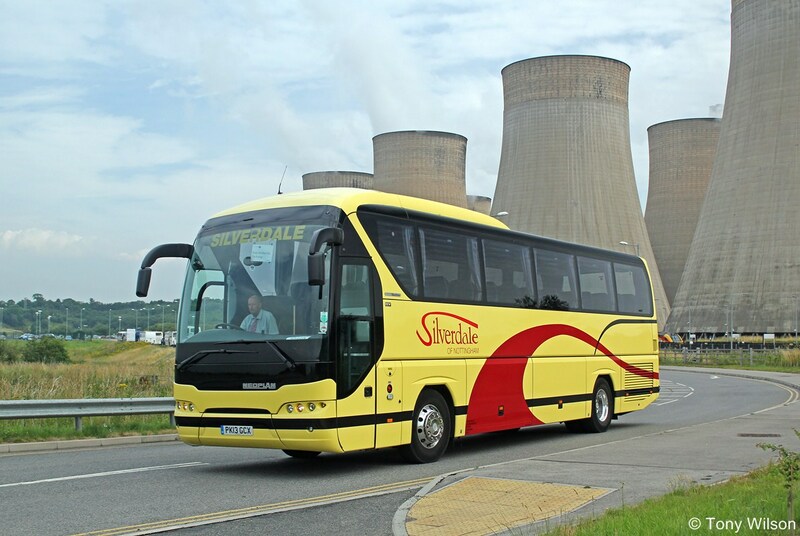 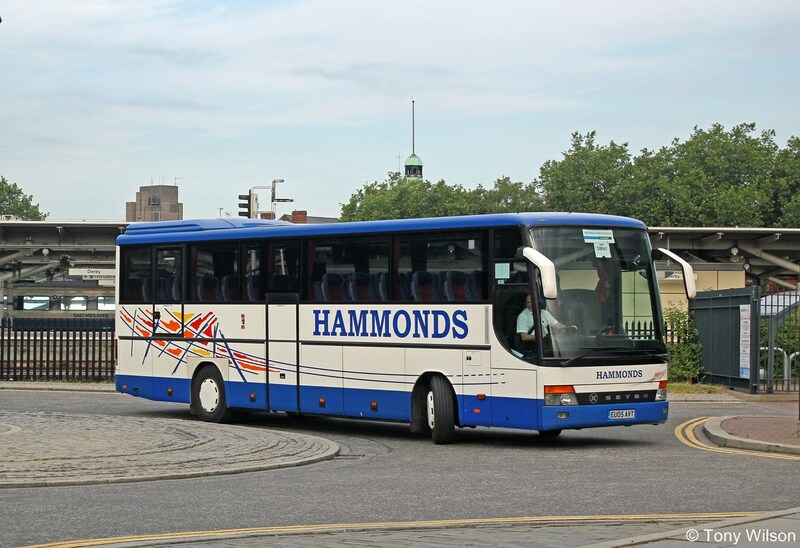 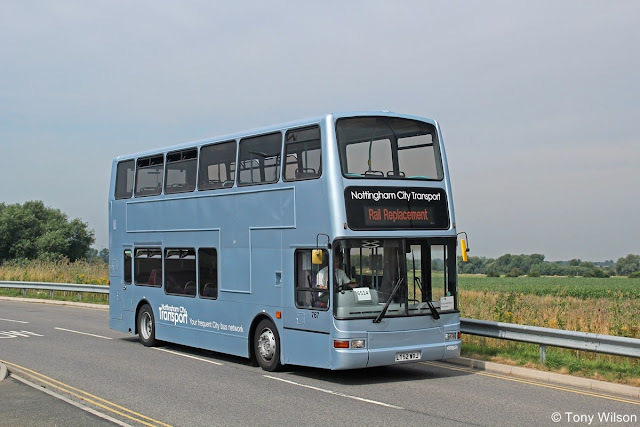 However, there are also bus services from here to Grantham and Newark. 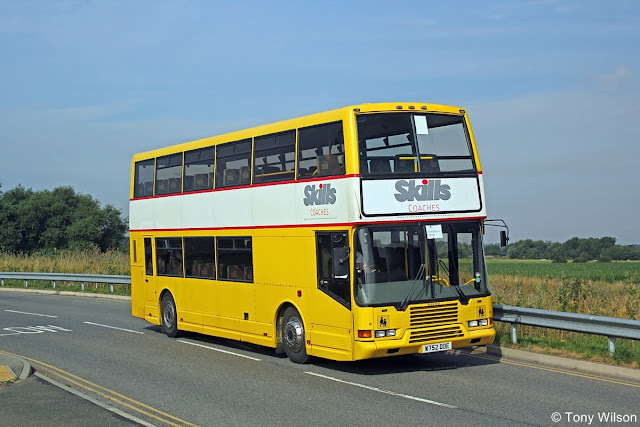 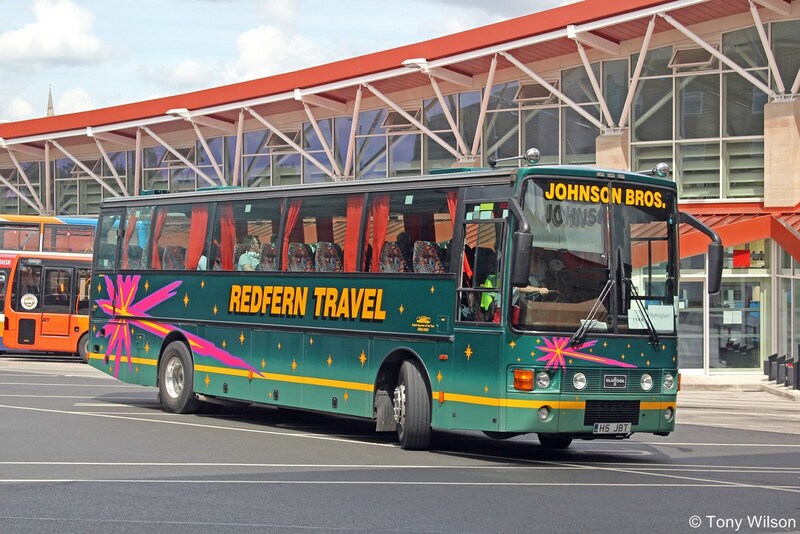 There are a variety of operators involved including Johnson/Redfern, Nottingham City Transport, Notts & Derby, Reliant, Silverdale, Skills, Stagecoach, West End Travel plus one or two others that are yet to be identified. 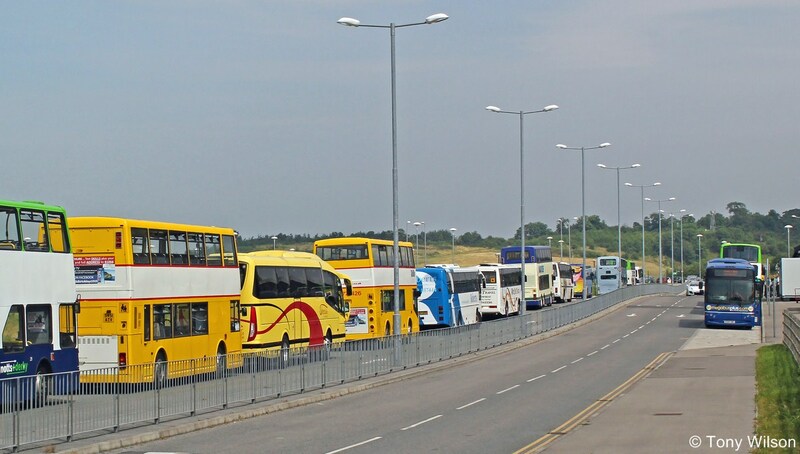 Vehicles are mixed in age and profile from the very new to the not so modern. 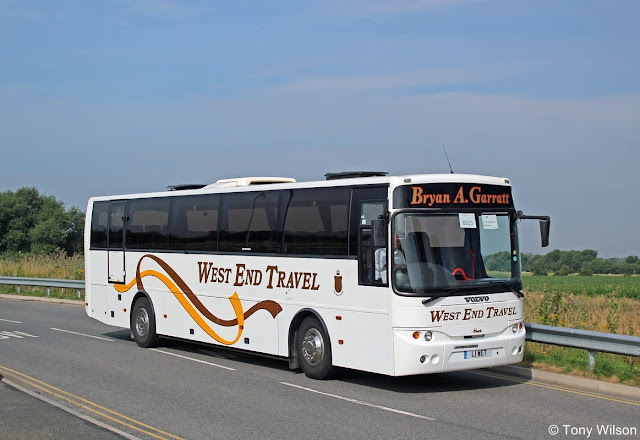 NCT are using ex.First London President bodied Tridents. 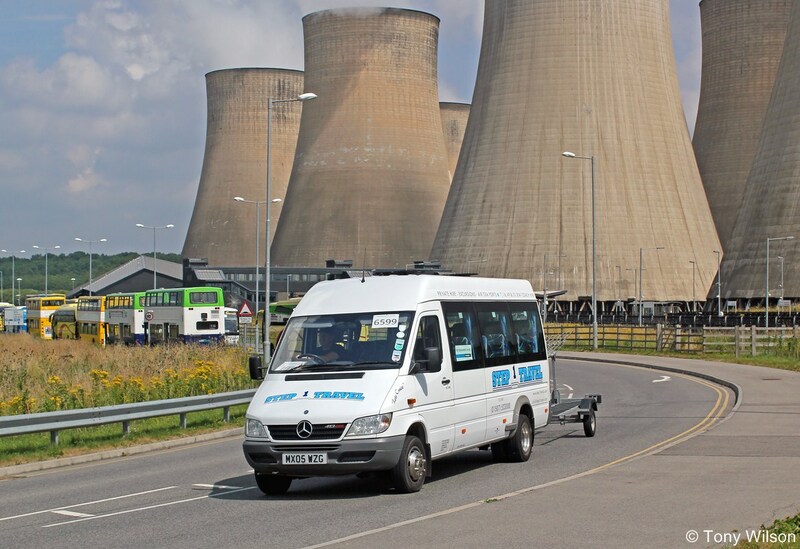 NCT are using a Mercedes minibus along with trailer attached, providing a service for cyclists. 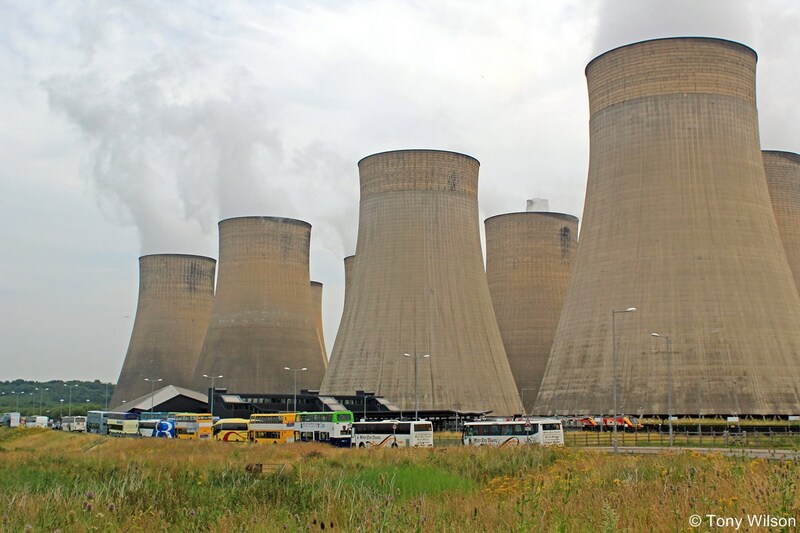 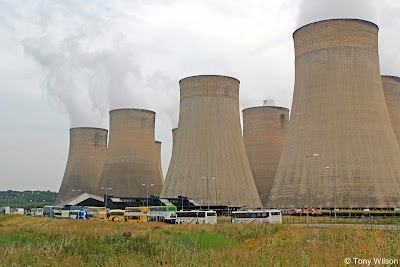 The Parkway station rests in the shadow of the vast cooling towers of the power station at Ratcliffe-on-Trent, and these images illustrate the towers as a backdrop to the location along with a line-up of the vehicles awaiting and between duties. Makes me think of Henry Ford's alleged edict "You can have any colour as long as it is black". 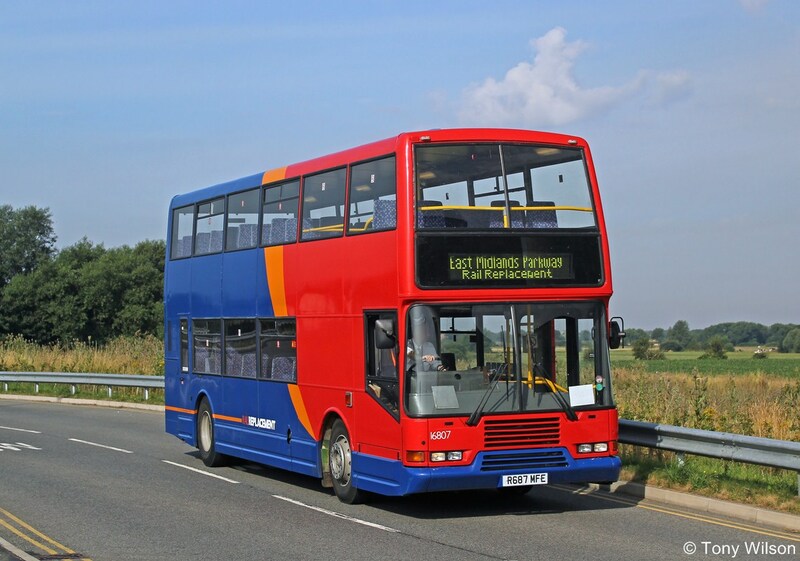 In this case it appears to be any colour but black, as almost all the main colours of the rainbow are represented.